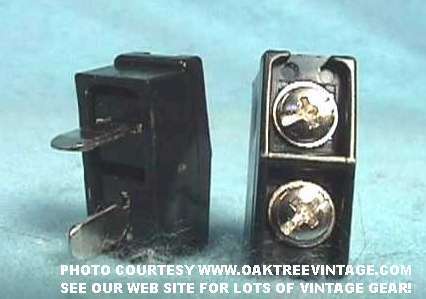 Akai Speaker Plugs / Jacks / Adaptors / Connectors for vintage Akai Stereo Recieviers. Akai Speaker Plugs / Jacks / Adaptors / Connectors for vintage style Akai Stereo Receivers. 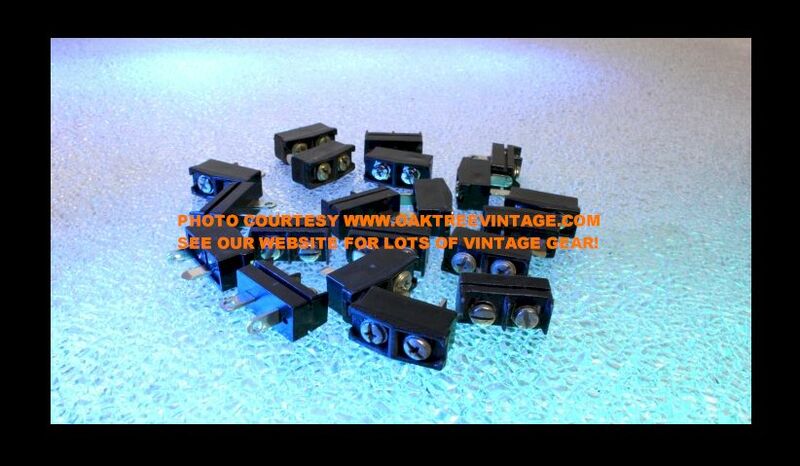 These plugs were used in the Akai stereo receiver models AA-910, AA-920, AA-930, AA-940, AA-960, AA-970 AA-980. WITH 12', 16G, AUDIO-GRADE SPEAKER WIRE PRE-ATTACHED AND READY FOR CONNECTION! These are 'pre-wired' replacement plugs / speaker wire assemblies for the very hard to find Akai receiver / amplifier to speaker, short proof adaptor plugs / connectors / jacks. 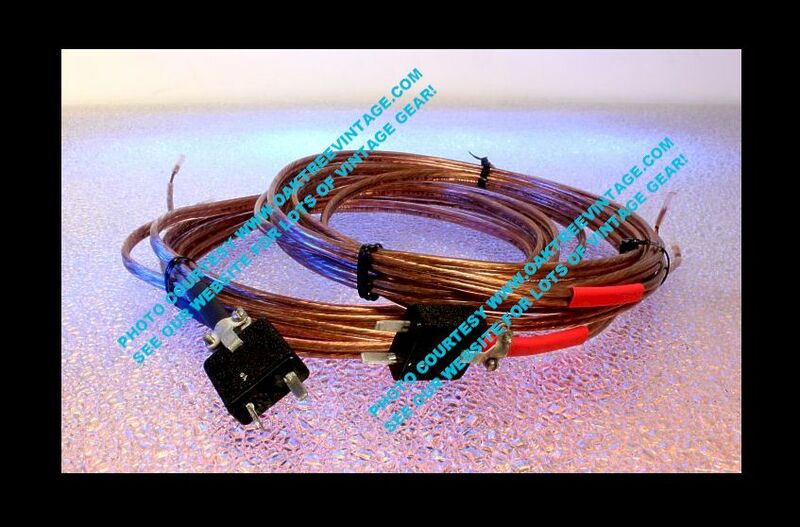 These are each pre-wired with twelve feet of USA MADE, Pure Copper (not copper plated aluminum), 'Audio-Grade', 16 Gauge, Stranded Speaker wire. The wire is 'pre-assembled to connectors (professionally soldered, with no 'stray whiskers / strands', that was common with the originals if you weren't careful), and tagged with red shrink wrap for 'Right' Channel, and black shrink wrap for 'Left' Channel on each end. The polarity is also indicated on the wire. The other end is 'pre-stripped' for connection to your speakers. The blades are slightly 'narrower' on these (rated for 10 AMPS each pin, so will be more than enough for any 'home audio'), but fit is perfect, and they hold as well as the originals. 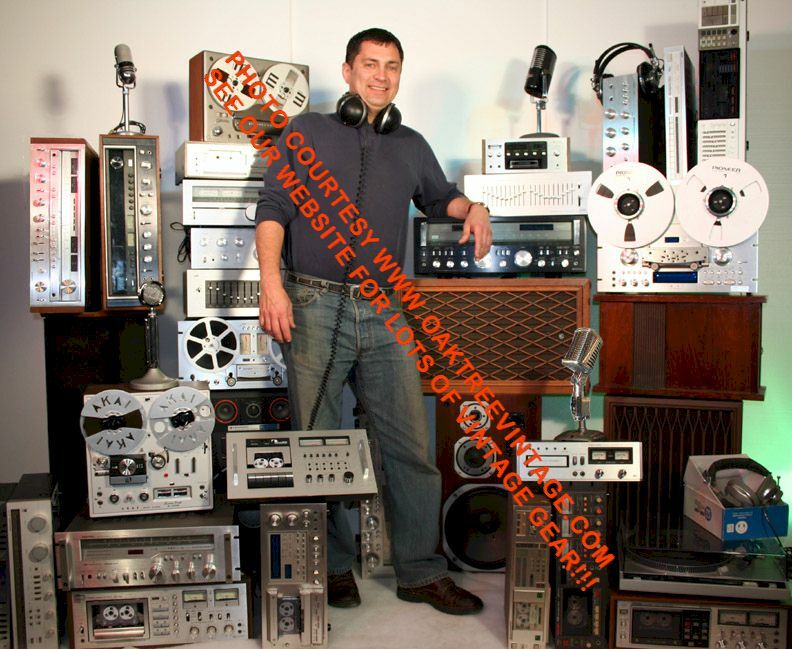 We have used them for a few years on our restored / refurbished Akai Stereo Receivers / Amps from that period and they work GREAT! If you have an old Early-Mid 1970's Akai receiver / Amplifier that uses these, and have lost yours or need an additional set - here you go! These receiver / amplifier / speaker plugs were used in the Akai receiver models AA-910, 920, AA-930, 940, AA-960, 970 AA-980 and may have been used in other receiver / amplifier models as well. Shipping within the United States is included in price. The very hard to find Akai receiver / amplifier to speaker, short proof adaptor plugs / connectors / jacks. These are 'original take-offs' we have collected over the past 18 years. Some will have light surface rust and / or chipped bake-lite fins. Some will have 'slotted screws' and some will have 'Philips' screw heads (they will be shipped in 'matched' pairs as far as screw type). If you have an old Early-Mid 1970's Akai, receiver / Amplifier that uses these, and have lost yours or need an additional set - here you go! These receiver / amplifier / speaker plugs were used in the Akai receiver models AA-910, 920, AA-930, 940, AA-960, 970 AA-980 and may have been used in other receiver / amplifier models as well.